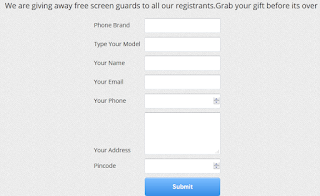 Namocart is new online shopping site, which is offering free Screen Guards for it’s users as a welcome Bonus. Last time this offer was running, & many people got their screen guards, this offer live again, so i am sharing this offer. you just have to fill up your Details, Like Phone Brand, Type Your Model, Your Name, Your Email, Your Phone, Your Address, Pincode. 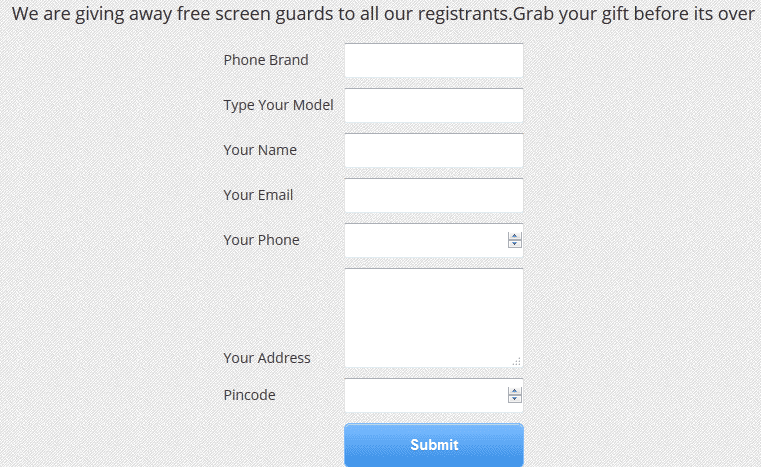 After fill up these details, you will get Screen Guard at your Door Steps for free without paying even 1 rs to them. So grab this offer now & Loot free Screen Guard now.